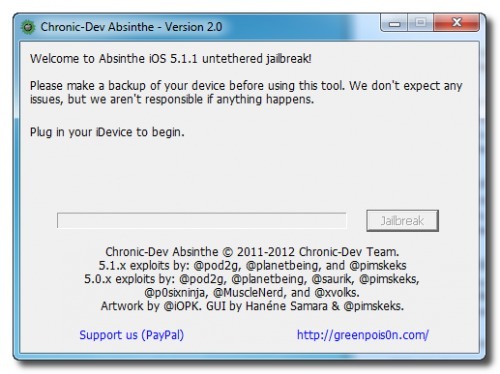 These are instructions on how to perform an untethered jailbreak of your iPhone on iOS 5.1.1 using Absinthe for Windows. 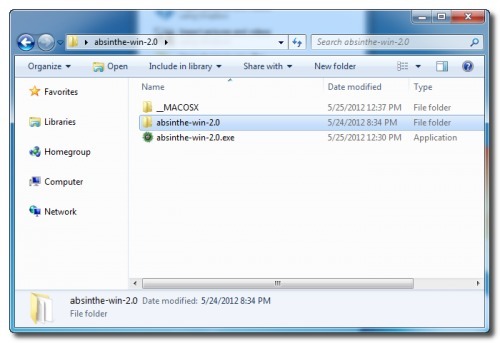 Double click the absinthe-win-2.0.exe file from the folder that was just extracted. 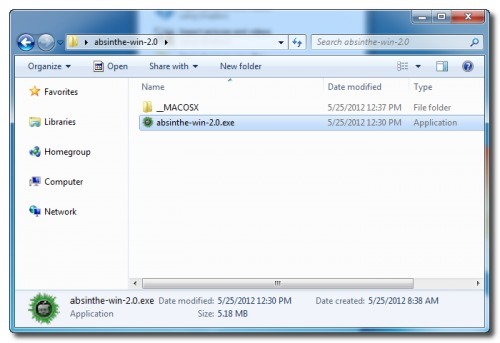 This will create a new folder called absinthe-win-2.0. 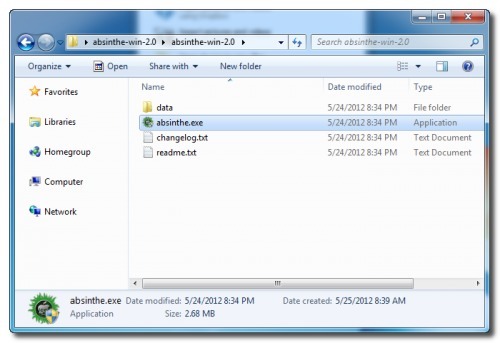 Open the newly created folder and launch absinthe.exe.